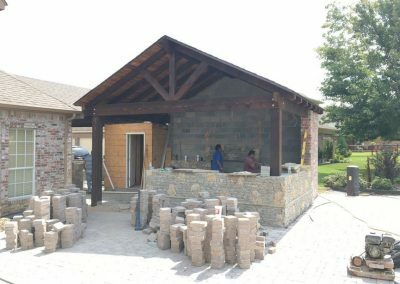 Check out inspiring designs from our Tulsa pavilion builders. 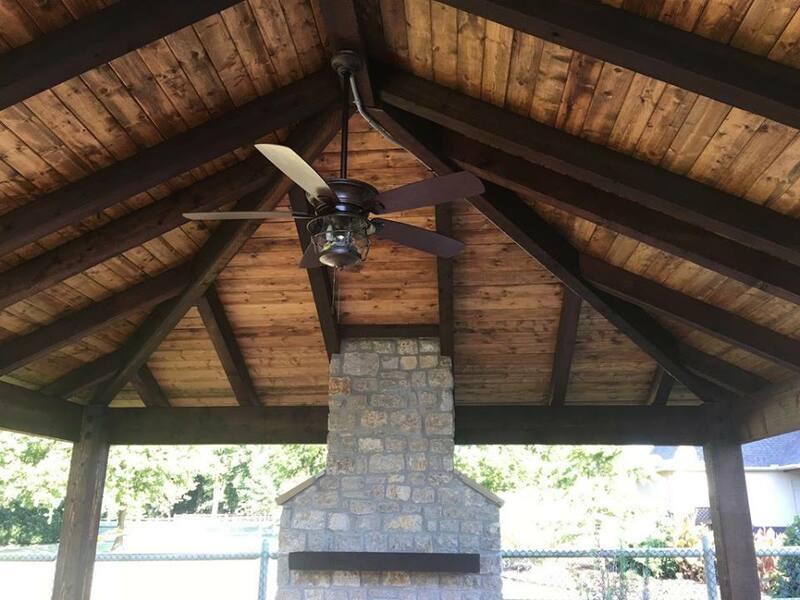 In fact, our Outdoor Living & Building Team Does It All! 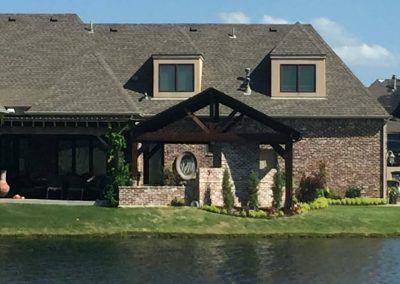 Without a doubt, your one stop shop for custom landscape designs. 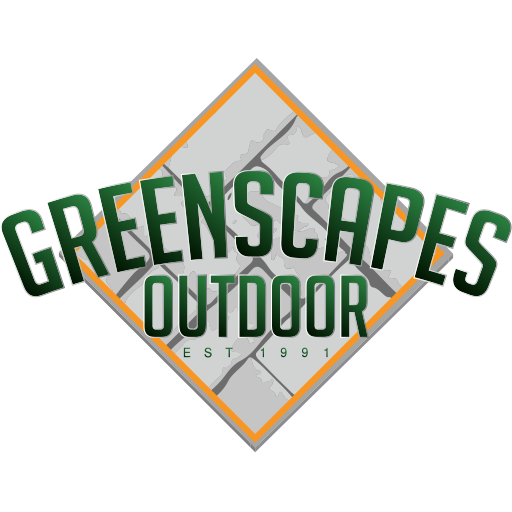 Start with a call to Greencapes Outdoor. 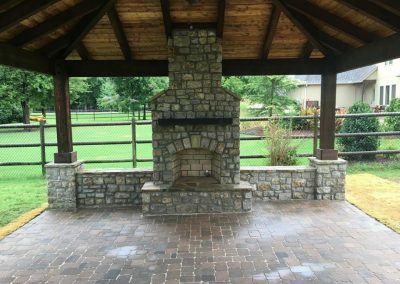 Next, share with us your favorite outdoor building project such as: Outdoor Kitchens, Pergolas, Pavilions, Fire Features, Pavers, Concrete, Landscaping, Drainage & more. 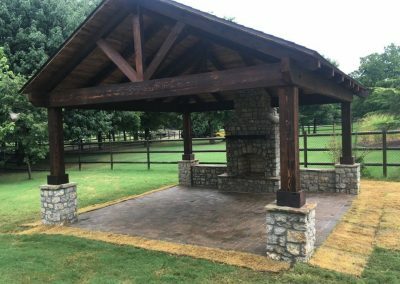 Newly finished pavilion in Tulsa, Oklahoma. Altogether perfect! Next up, some outdoor furniture. 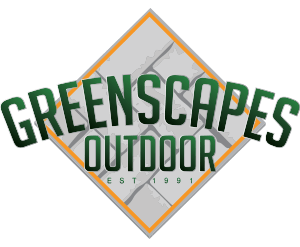 Yet another great Greenscapes transformation. Attached pavilion added to a Tulsa home. Another boost to your fun family get togethers. Until now, boring! Afterwards, wowing! 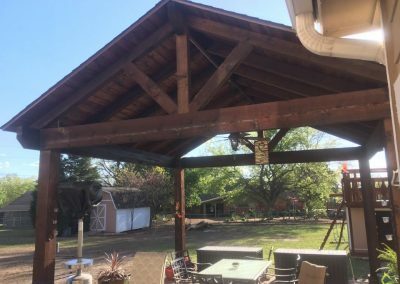 Let our Tulsa pavilion builders do the same for you. 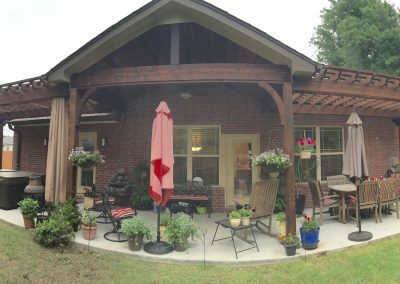 Another backyard makeover. Our Tulsa Pavilion Builders put together an awesome addition to this family’s pool area. 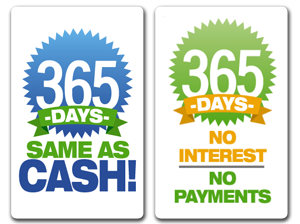 We can surely do the same for you. A paver base adds to both beauty and longevity to your outdoor living space. Generally, even a small addition to your backyard can make all the difference. 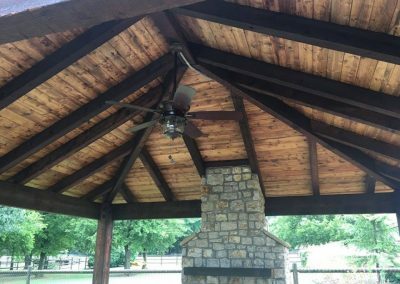 Let’s talk about your new outdoor project. 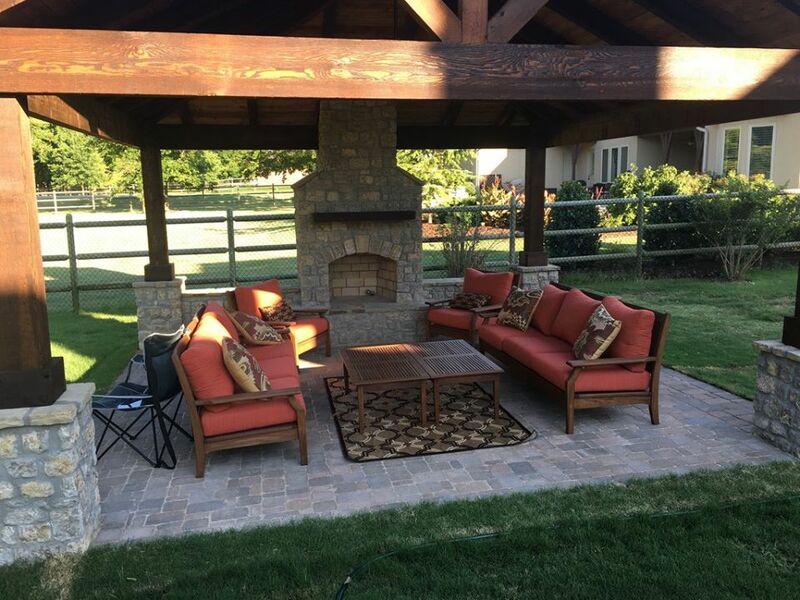 Another perfect furniture setup for any custom pavilion or outdoor living space. Another elegant design style. 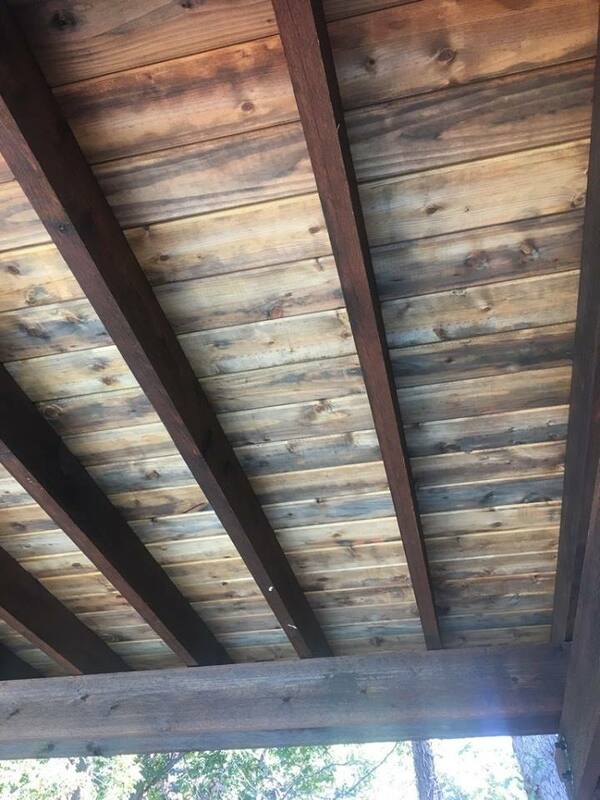 Quality construction with symmetrical beams and contrast staining. 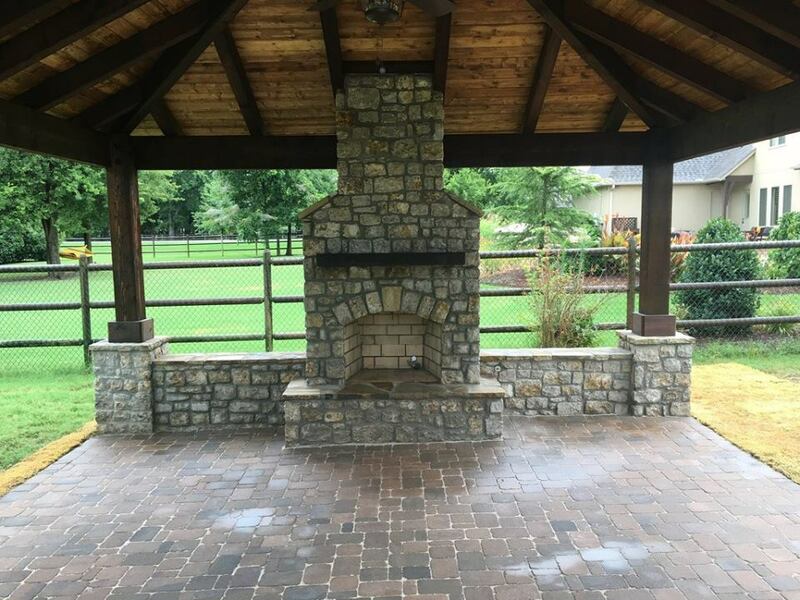 This backyard beauty includes a wonderful paver base and outdoor fireplace. 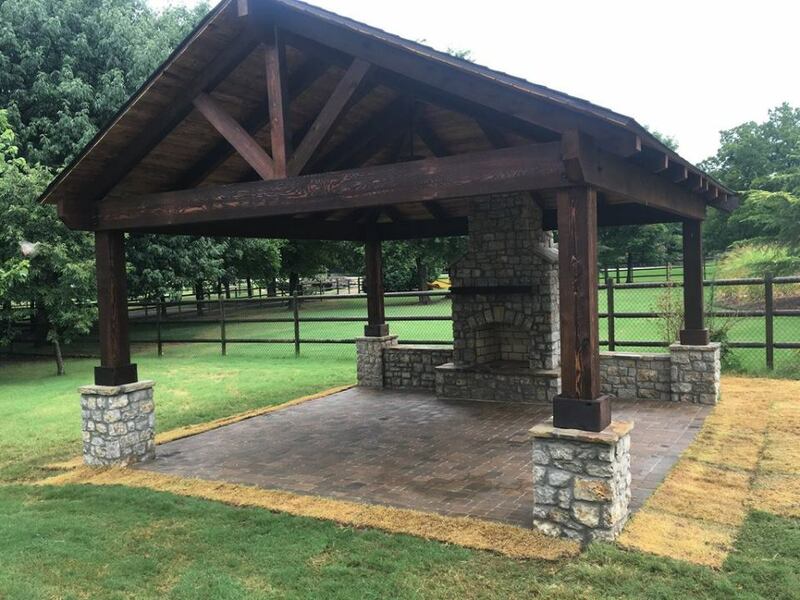 Our Tulsa Pavilion Builders are ready to start on your custom outdoor building. 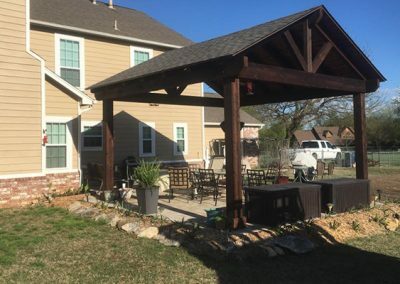 Adding a pavilion styled pergola helps extend your living space into the backyard. 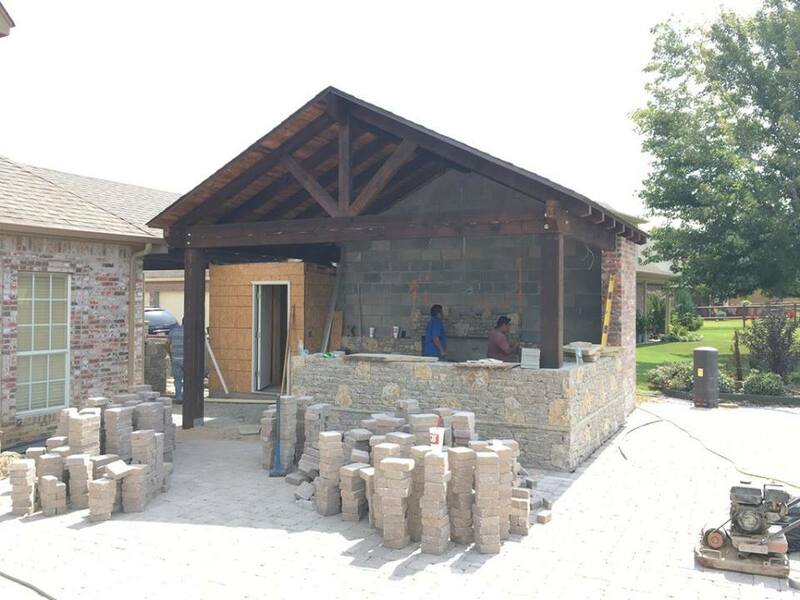 Another great addition is a paver patio extension. 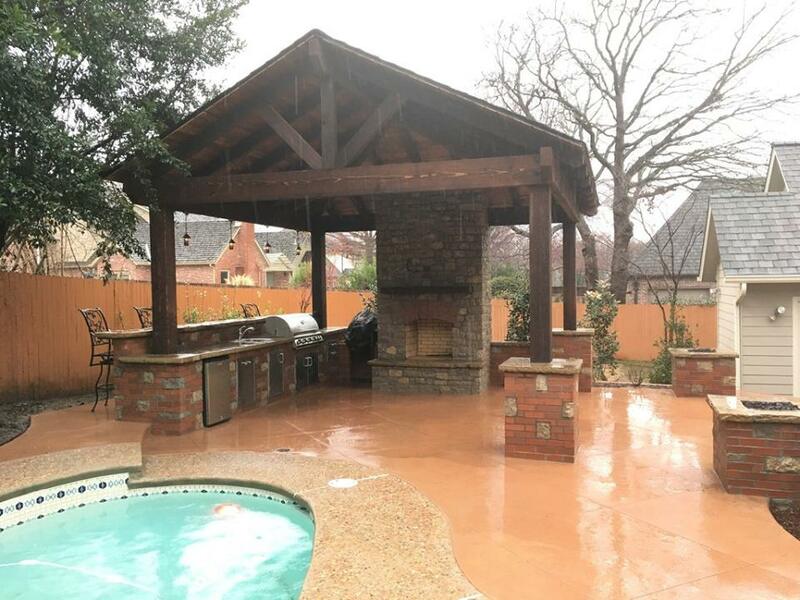 Undoubtedly, become the neighborhood’s Mr. and Mrs. Jones with your own little area for backyard family fun. 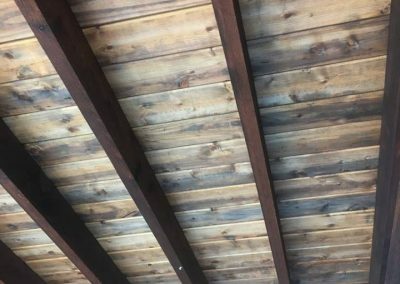 Basically, any and all types of wood finish: reclaimed, weathered, smooth, painted, stained, acrylic varnish, shellac & so much more. Always built with attention to detail. Another great addition to an outdoor living space is a ceiling fan. Don’t wait until next summer. Finally, enjoy backyard time with your family. 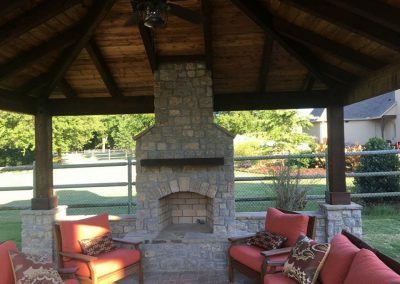 Add an outdoor fireplace to your custom pavilion for year round enjoyment. Despite a cold winter day, you’re sure to stay warm and cozy. 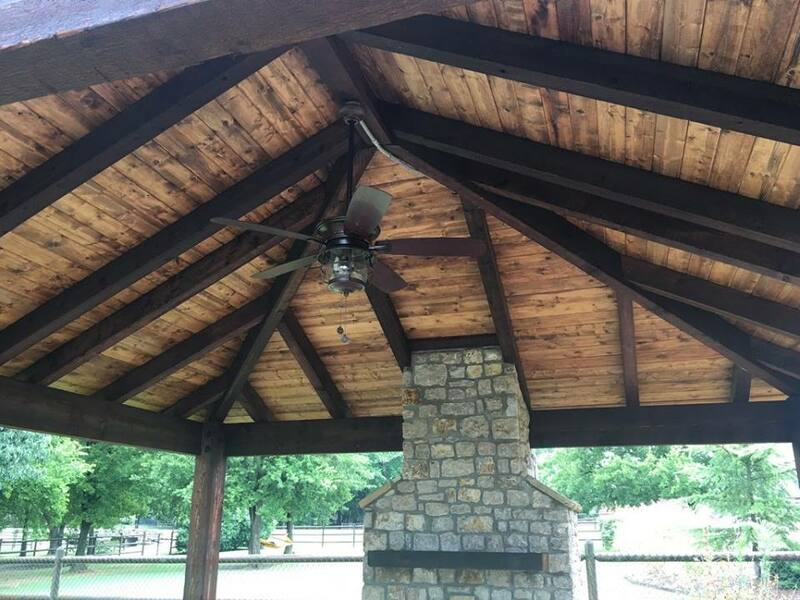 One of a kind builds are our Tulsa Pavilion experts favorite jobs. 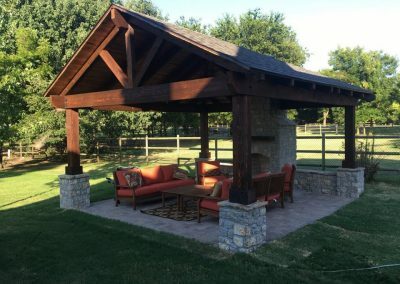 Want to transform your outdoor space but don’t know where to start? Schedule your free design consultation so your next family get together is more fun for everyone. 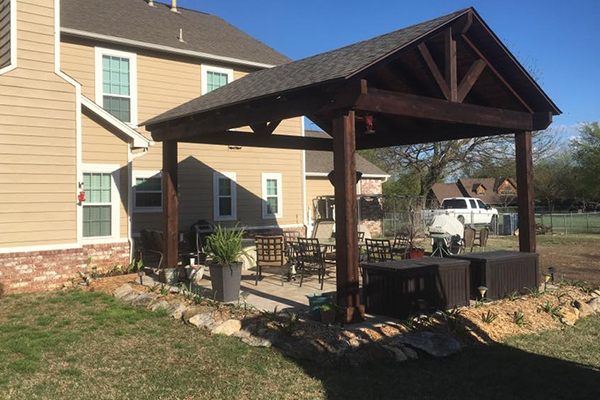 You’re a call and fun planning experience away from transforming your backyard. Together with our team, backyard time will be fun again. 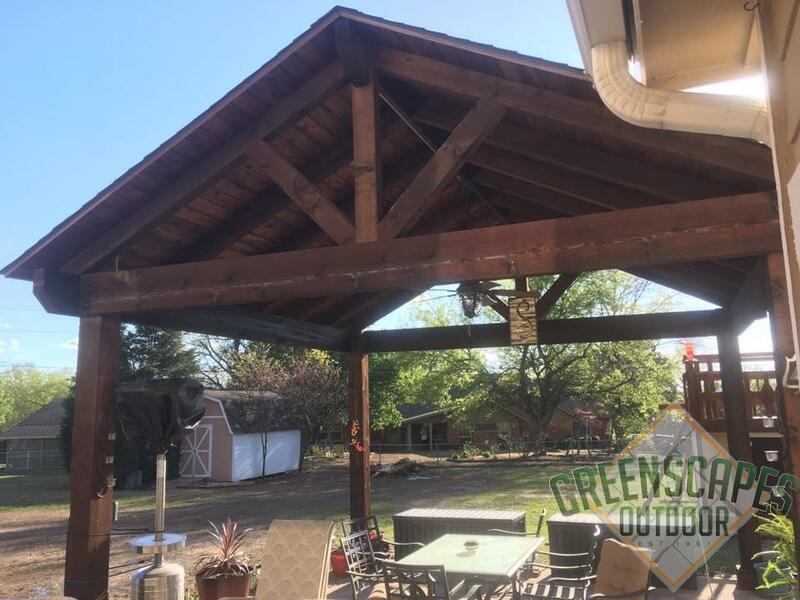 We do everything outdoors! Dream big and select your favorite outdoor living projects such as: Outdoor Kitchens, Pergolas, Pavilions, Fire Features, Pavers, Concrete, Landscaping, Drainage & more. Of course, you have to call first!